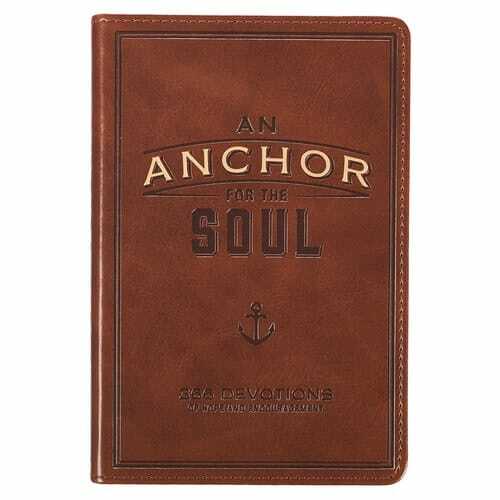 An Anchor for the Soul is a 366-day devotional that takes you on a year-long voyage of contemplation and discovery, that will lead you to the Source of all safety and rest. As you meditate on Scripture and consider the insightful devotional thought for each day, you will be equipped to handle whatever storms may come your way. You will be able to stand strong as you focus on the Light that leads you and the Anchor that is your eternal hope. The debossed Luxleather cover has gold foil accents and an attached ribbon page marker. An exceptional gift for the man in your life or for dads on Father's Day.